If you have tile floors in your home or business you probably clean them yourselves and don’t give it a second thought. Maybe you should. It’s true that routine tile and grout cleaning in Chandler, AZ isn’t that complicated. However, grime does tend to accumulate on the grout over time and when that happens making your floors sparkle becomes a whole new challenge. We can help you meet that challenge. We clean carpets and floors for a living and we can clean your tile floors too. Here’s a few reasons why you should let us. 1. We offer great value. When you compare the quality of the work we do to that of our competitors, we think you’ll agree with our many satisfied customers who say we offer the best deal around. 2. When the grout in tile floors gets really cruddy cleaning it is no longer a routine job. A meticulous dedicated effort is needed. Don’t you have better things to do with your time? 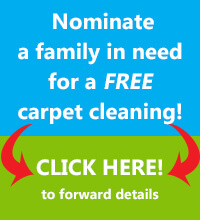 We don’t, cleaning floors and carpets is what we do and we’d love to help you. 3. We’re a great company to work with. Anyone who has used our services will tell you that our reputation for superb customer service is well earned. We care about our customers. If you become one of our customers we promise we’ll never take you for granted. You can’t beat our work. If we take on a cleaning task no one does it better. We make this promise without reservation or fear of a competitor proving us wrong. It doesn’t matter if the job is cleaning carpets, tile and grout cleaning or something else. We’ll do the job quickly and well. Most important, we’ll make you proud. Get in touch with us and let us take care of your tile and grout cleaning in Chandler, AZ.